Salzburg, the stage of the world, offering great opportunities for professional events and meetings. The ideal setting between Alps and urban city life for association meetings and corporate events. Salzburg leads the Austrian Meeting Industry in many fields and has been awarded as a European Top Destination several times. Hotels and venues in Salzburg have invested more than 100 million euros in new properties, infrastructure and attractions for meetings, congresses and side events. Also, the regional government offers financial congress funding and welcome receptions. The word about Salzburg being a great event and congress destination is being spread by many clients and visitors. 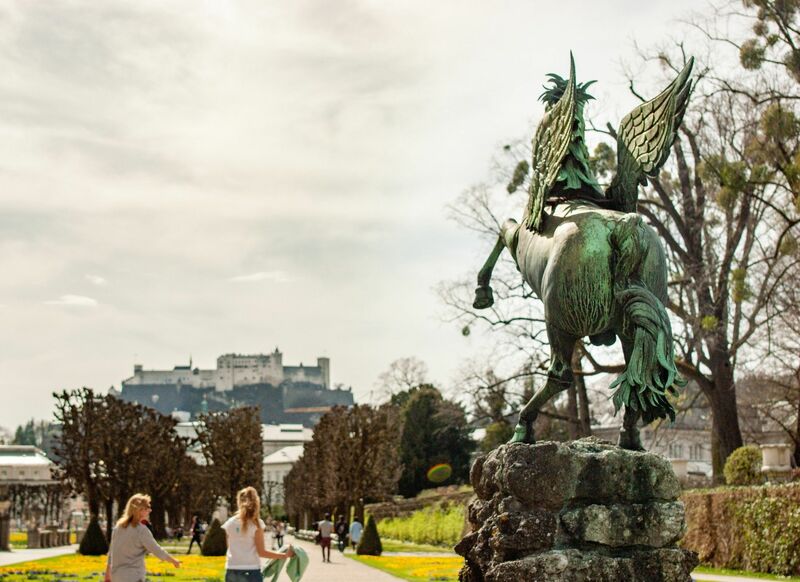 Whether in the summer or winter, baroque or modern – Salzburg offers everything. Economic, social and political stability. Salzburg is well connected by Salzburg and Munich Airport offering daily international flights. Additionally, Salzburg offers a superb public transportation. The concentration of toque-awarded restaurants in SalzburgerLand – that is to say, the restaurants, inns and master chefs crowned annually with “toques” from Guide Gault Millau – is quite beyond compare. Also, Salzburg is Austria’s beer capital and has the oldest coffeehouse of Austria located in the city of Salzburg. Last but not least one of Austria’s most famous Sweets has been invented in Salzburg – the Mozartkugel, a chocolate named after the great son of Salzburg. The Flying Fox XXL – In a breakneck speed of up to 130 km/h the wind flies around your ears, while 140 meters below the forest rushes past you. 1,600 meters full of action through the mountains on the fastest and longest steel zip line in the world. You can also experience dinner in a baroque palace, medieval dinners at the knights table, a wild rafting trip or a GPS scavenger hunt through Salzburg’s historic past. The Fortress Hohensalzburg –a Medieval castle complex has 900 exciting years of history to tell. Europe’s most beautiful panoramic road called Grossglockner High Alpine Road and the perfect combination of nature and technology at an altitude of 2,000m are Europe’s highest waterfalls with an Aquaszenarium in the waterfall centre. A true party location since 1615 is Hellbrunn Palace which has stood, noble and imposing, at the gateway to Salzburg and it still amazes both locals and visitors. And for any day, one of the worlds largest Ice Caves, the Giant Ice Caves in Werfen, are a great Destination.